Zombie Outbreak!!! Who want to meet Zombie face to face? Or maybe want to experience a day in a life with zombies around? 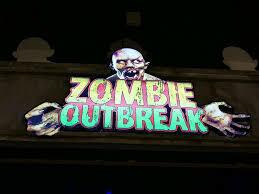 In here, visitors can experience what it is like to be one of the last survivors of a nightmare Zombie Apocalypse. Visitors that try to seek shelter in the abandoned house will find that the course is spread out like a maze with a new terror awaiting at every turn, keeping the survivors on edge as zombies consumed with a ravenous desire for human flesh are everywhere. Definite horrors await within with only one way out and no turning back. And guess what no selfies and ootd were ma age to do in this park as everyone is trying to survive and running like mad.. lol! Hence let's make your adrenaline rush! The price for the entrance tickets is RM 30 (adult) and RM 25 (child). Combo 2 (2 attraction entrance tickets) is priced at RM 56 (adult) and RM 46 (child). Combo 3 (3 attraction entrance tickets) is priced at RM 75 (adult) and RM 66 (child). Combo 4 (4 attraction entrance tickets) is priced at RM 88 (adult) and RM 80 (child). 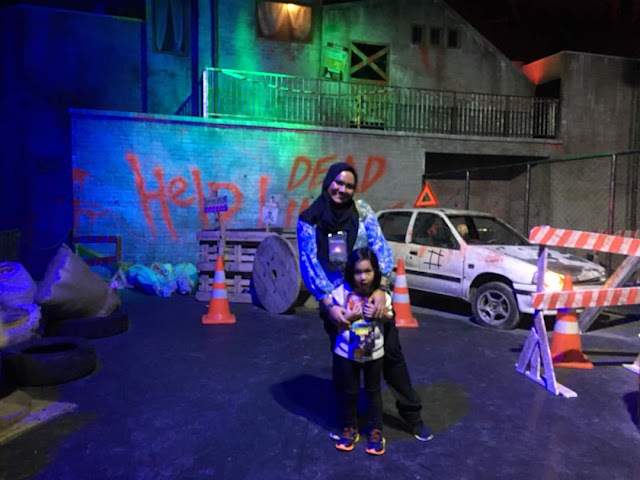 So if you free, why don't you come to SkyAvenue Resorts World Genting to discover their other attractions any other excitement for the whole family. Seram tak kak? Mai peminat movie zombie nih.